• No set up fee or minimum balance requirements. 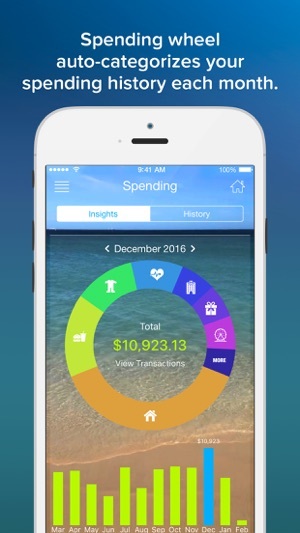 • Control your spending by reviewing your Spending Wheel. Transactions are auto-categorized. • No Cost ATM withdrawals at all MoneyPass® ATMs. • Load cash at any one of 60,000 MasterCard rePower® or GreenDot® locations - including 7-11, CVS, K-Mart, Rite Aid, Walgreens and Walmart. Each ChimpChange Card is FDIC insured through Central Bank of Kansas City and covered by the MasterCard Zero liability policy. Conditions and exceptions apply, see Cardholder Agreement. The ChimpChange Pre Paid MasterCard is issued by Central Bank of Kansas City, Member FDIC, pursuant to license from MasterCard International Incorporated. MasterCard is a registered trademark of MasterCard International Incorporated. Certain fees, terms, and conditions are associated with the approval, maintenance, and use of the Card. You should consult your Cardholder Agreement and the fee schedule at www.chimpchange.me. If you have any questions regarding the Card or such fees, terms, and conditions, you can contact us toll-free at 1-855-HI-CHIMP (1-855-442-4467) which is available 24/7 if you have any questions or concerns. 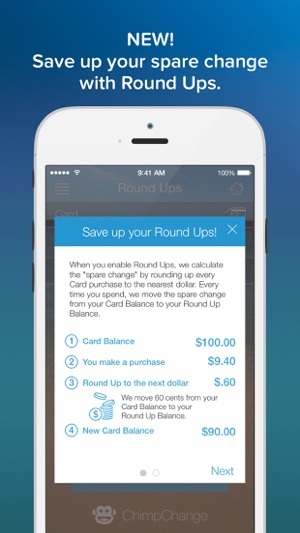 # Use of the “Round Up” feature does not create a separate account relationship with CBKC. No interest is paid on the Round Up balance. You may modify or remove the Round Up portion of the balance at any time. All funds loaded to this Card are FDIC-insured. ^Mobile Check Load is a service provided by First Century Bank, N.A. and Ingo Money, Inc. All checks are subject to approval for funding in Ingo Money’s sole discretion. Fees apply for approved Money in Minutes transactions funded to your card. Unapproved checks will not be funded to your card. Ingo Money, Inc. and First Century Bank, N.A., are not affiliated with Central Bank of Kansas City. ~Restrictions apply. See Cardholder Agreement. The monkey is now my new card. User , Direct Deosit & using-cotract finds , 4 cards linked with my paypal account, Backed by CHASE. Well, that lngterm relationship is ending tonight for all the incompetence, lack of customers service to the point of frustration on a regular basis. Warningshiven & complaintsfilled,Ivan no longer stomach the mismanagement and lies about being on our side, lie !, they are on the merchants side & merging with Greendot proves it ! My first & most hated company ! Well, they had their chance & good riddance to their philipino customer no service day care center ! I’m impressed with this ChimpChange card @ I even said hello to me customer service before I committed. When I’m needing help, then is the time I need it. Not some imaginary time they call “ if your lucky”, that you can count on them, even if they can’t count literly. The features are great & the ease of use is great. I’m Looking forward to my premium membership & through my exaustive research I find this financialbdevice to be the best available electronic checking account there is today. Best Prepaid Card out there!!!!!!Period!!!!! 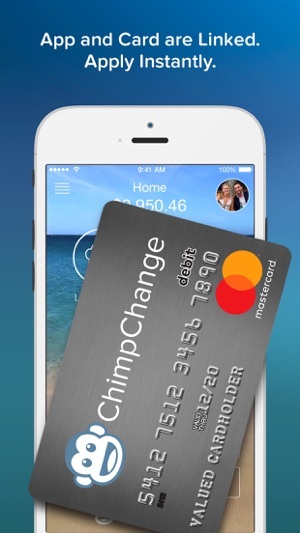 ChimpChange is an awesome prepaid card. I usually load cash at my local CVS. Unlike all other prepaid cards as soon as it’s loaded it’s available no waiting 30min to an hour to use the card. The round up options is so convenient, and transferring back and forth is a breeze also available immediately, no waiting. One time I had to call customer service, they were awesome! Very professional and got straight to my concern. Call was quick and easy. Based on other reviews I’ve read I’m ongoing to set up my direct deposit and only use this card. It’s Awesome! they now have maintenance fees. i asked for a refund on the 6.95 since i wasn’t made aware with an actual notification (my email doesn’t get my attention with all the spam) and when i asked customer service to refund it, they took forever to look into it, and when they finally responded, they said i “wasn’t” eligible for the reimbursement. i asked if they could then help me close my account. funny how quick they took action with that. boom. account closed, no response first or apology. just boom. don’t give them your personal information. i use chime and the customer service is amazing and there are no hidden fees or direct deposit requirements.